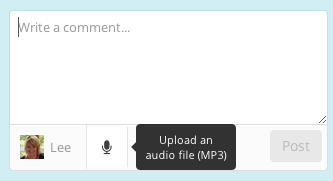 You can comment on a story using either text or recorded audio. 3. Click the microphone symbol and a drop-down box will appear. 4. 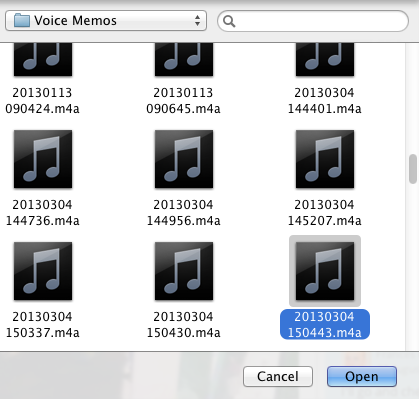 Find and select the audio file you wish to upload (it must be an MP3 or an M4A file) on your computer’s hard-drive and click ‘Open’. 5. 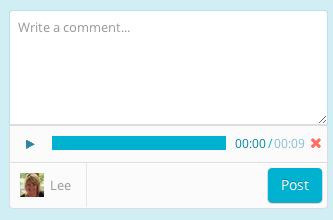 Once the file has finished uploading, click the ‘Post’ button and you’re comment will be published.